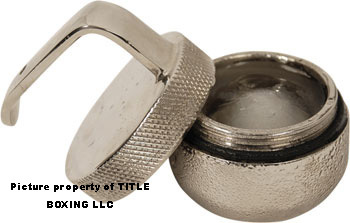 Cap unscrews to add water and freeze for fights. Stays icy cold and ready to go for 12 full rounds. Add water, freeze and use.